This week saw the end of the annual Microsoft partner conference Microsoft Inspire, during which the corporation’s best partners of the year were celebrated. This year the Latvian IT company SQUALIO was recognised as the best partner in three countries simultaneously, namely in Latvia, Lithuania and Belarus. The award for the solution went to SQUALIO, which has reorganised itself in two separate companies in between the applications, and further development of the solution will be done by dots. Microsoft has been providing a massive array of IT solutions in the world for 40 years, and SQUALIO has been there for half that time, 20 years. 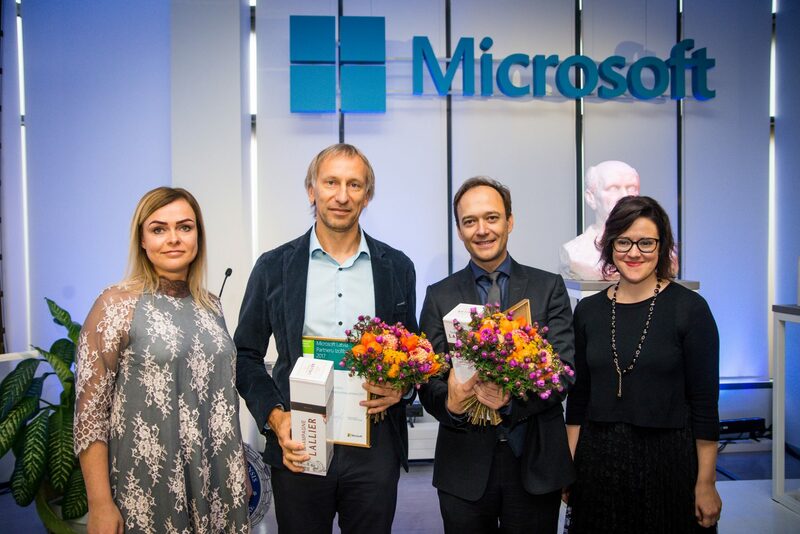 The company SQUALIO, in collaboration with dots., became Microsoft’s partner of the year in Latvia by developing the road traffic monitoring solution FITS ITEMS. FITS ITEMS ensures a unified management of transport sensors and data, as well as their processing, using the latest benefits provided by cloud computing and deep neural networks. The solution helps to deal with various sensors produced by various manufacturers, gathering the data they provide in one place and teaching computers to “understand” traffic flows and events. They can, for example, recognize vehicles in the photos provided by speed enforcement cameras, defining their characteristics, recognizing number plates, etc. “We are very satisfied that the solution we developed in order to improve the safety, efficiency and mobility of road traffic has gained worldwide recognition! We are also glad to see that experts have given special praise to improvements in road traffic safety statistics at the spots where speed cameras are placed in Latvia,” says Aigars Jaundālders, member of the board of dots. with the success. According to the data of the Road Traffic Safety Directorate, the number of road accidents in spots where stationary speed cameras were placed dropped by 42% in 2016, whereas the number of people of injured dropped by 21%, and, most importantly, there were no deaths related to speeding of the deceased. According to data of the European Commission, in the time period from 2015 to 2016 Latvia has made Europe’s top three with the biggest decrease in the number of deaths on Latvian roads. Good Is the Work that’s Done!